SAN FRANCISCO - May 18, 2016 - PRLog -- Cahill Contractors LLC has announced the appointment of Kathryn Cahill as their new CEO. She will assume responsibilities on May 1, 2016, and will succeed her father, Jay Cahill, who will continue to run Cahill Contractors, Inc. as the CEO, side-by-side with Cahill Contractors LLC. Kathryn joined Cahill Contractors in 2007, becoming the fourth generation of the Cahill family to work in the construction business, beginning as a project engineer. 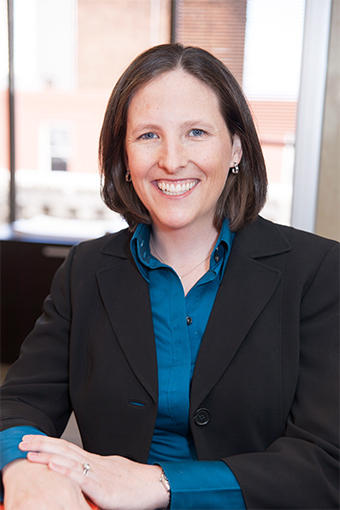 While at Cahill, Kathryn has worked in project management and estimating for projects spanning affordable housing, market rate condominiums, senior housing, and religious facilities. She is also involved with company operations including marketing, recruiting, and technology. "I am honored to be able to lead Cahill into its fourth generation," said Kathryn Cahill. "Through this transition we will be able to continue the tradition of excellence in building and in business that my great grandfather started over 100 years ago. We look forward to providing the same quality construction, customer service, and talented team members that our clients have come to rely on from Cahill." Cahill Contractors LLC is a fourth-generation, local firm specializing in commercial, healthcare, education, multi-family residential and construction management in the San Francisco Bay Area. Cahill builds with a focus on quality, collaboration, and value. The firm works openly in concert with clients, architects, and subcontractors to complete projects on time, under budget, and to the client's utmost satisfaction. As a family-owned business for over 100 years, integrity is a core value of Cahill's. For more information about the firm, visit http://www.cahill-sf.com.